How My Sister and I Made a Road Trip More Meaningful. 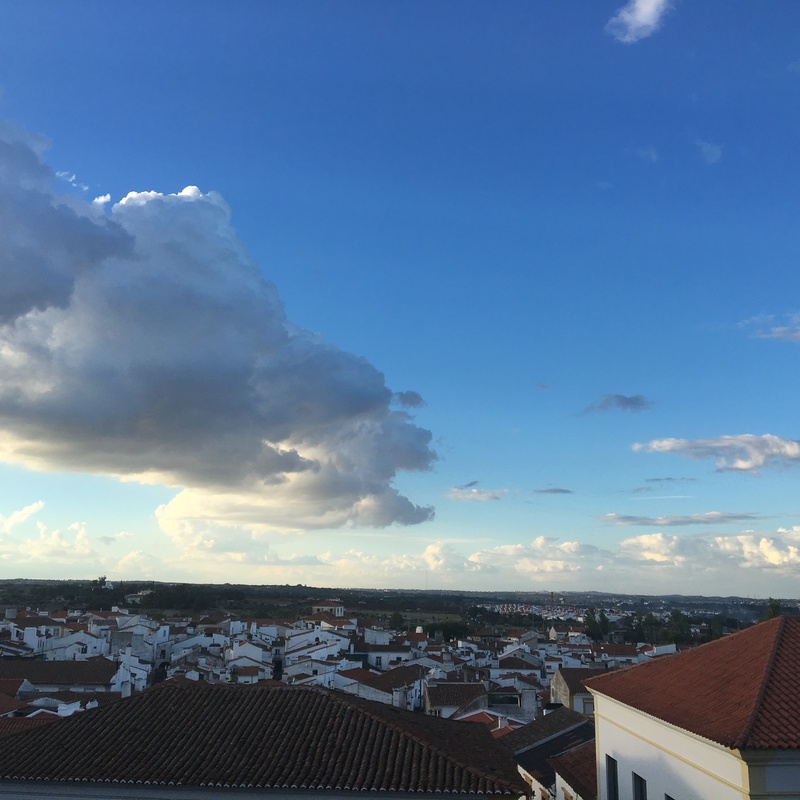 I just saw my sister, Teresa, off in a taxi after a nearly two-week road trip starting in Lisbon and moving down through southern Portugal, across to Seville, Spain, then back to Lisbon by way of Evora. A wave of melancholy washed over me after our goodbye hug, which surprised me because I will see her again in two months’ time. Sitting down to write a post on the places we’ve been, I shift gears to reflect upon our way of traveling together on this trip that made it a little more difficult to say goodbye. I travel with both my sisters and am fortunate that both have a sense of adventure. My other sister, Michelle, had just gone on a trip to northern Italy with her family, so she needed to pass on Portugal. The beauty of traveling with women who have known and loved you your entire life is, there is a level of comfort, familiarity, and (for the most part) acceptance that is hard to find elsewhere. The challenge of such travel is that there are moments when you can return to decades-old ways of reacting to each other. The opportunity is to transform those moments. Other than driving through impossibly narrow roads and according to errant Google directions, our time together was marked by ease and pleasure in each other’s company. I believe the quality of our experience was enhanced by a conscious mutual decision to practice intention, together, throughout the trip. We both believe that travel expands our personal worlds and wanted to find ways to encourage and honor that in each other. Here are three ways that we consciously traveled with intention. 1) Begin each day with a question or reflection and share thoughts at day’s end. Before the trip began, we spoke about ways to more consciously make our experience growth-enhancing. We decided to have a brief daily reflection and question to contemplate, which we discussed at the end of the day. This wasn’t meant to create work or be effortful. I have a deck of cards on reflections for an intentional life, and we chose to use these cards because they were readily available. Some of our reflections were on our core values, how to build pauses into our lives, and what kinds of thoughts served and didn’t serve us. 2) Create a word to use in a challenging moment. Knowing that there is often at least one moment where we can get triggered – from exhaustion or different desires or whatever – we thought it would be helpful to create a short-hand word that would make it less likely that we would say unhelpful things to each other. When triggered it can be easy to say things without compassion and, because of this, the words are often unhelpful. Our word was ‘Cowabunga!’ We chose a word that we could say with humor, even if we weren’t feeling it. Having such a word helped create space when needed. On this trip we only used it in a playful way. The one moment we needed it, while driving, it escaped us. But having the word, we could talk about it and laugh after-the-fact. The importance of asking the other person, rather than only self-reflection, is that it communicates an openness to them. This goes a long way toward viewing the other person as someone who is capable of growing and changing. On this trip, we had no feedback for each other – we felt that both of us had done well as travel companions. Importantly, challenging and even painful moments can be put quickly behind when there is openness to the other person. Traveling with a loved one provides an excellent opportunity to practice intention in relationship as a way to deepen your travel experience. You may want to try one of the intentional practices above or create your own on your next travel adventure. From the water cooler to the heart of Africa & how I felt connected to the unknown.